An Education For Our Time: An Academy of Leaders website has been designed/created from the inspiring novel by Josiah Bunting, Rhodes Scholar, Vietnam vet, and president of VMI. 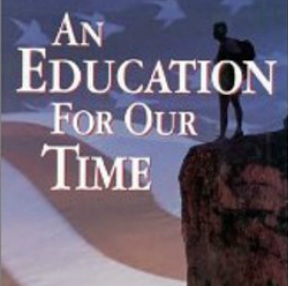 Bunting has written a superb book about the future of American education. His story is a fictional account of an ideal college that fosters leadership, but his vision is real as he outlines the training of mind, body, and soul of our young minds. The main goal of Buntings institution is the creation of servants/leaders to this nation. This website is a call to public schools throughout America to challenge them to create an learning environment that fosters leadership, meaningful instruction, students actively engaged in their learning and institution that focuses on body, mind and soul of today's adolescence. The Academy is the vehicle that will drive An Education For Our Time: An Academy of Leaders.